Wrong. 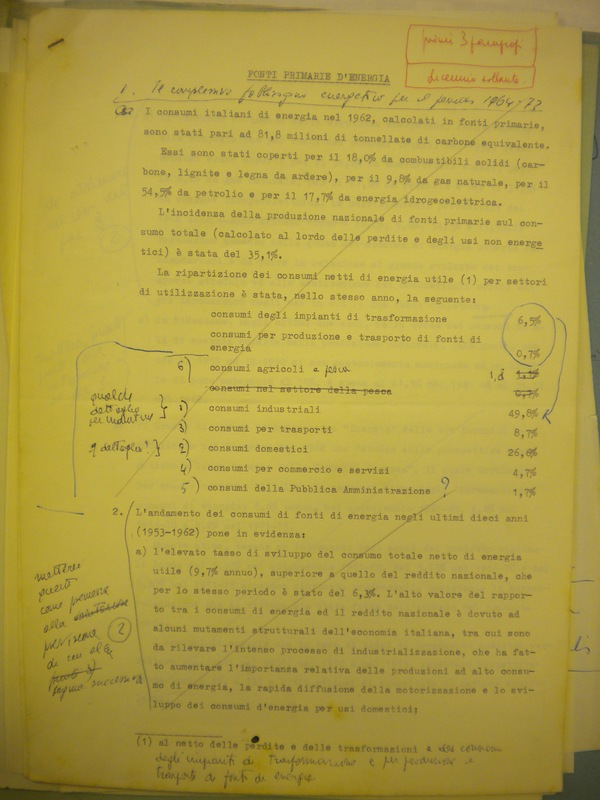 I just came back from Rome on a trip to the historical archives of Eni, the Italian oil company. My research project examines the impact of the oil industry in the Algerian decolonisation project, and Eni was a main actor in this process. I know the company’s archive well, as I collaborate with its team on several history projects. Still, every time I step foot in the two-storey building in Pomezia, a sea village on the outskirts of Rome, I am intimidated by the enormous amount of data stored behind five kilometres of shelving in the archive. This figure includes 45,000 folders, 23,000 units, 500,000 photographs and thousands of hours of audiovisual material. To make matters worse, this is just the catalogued material, a tiny amount compared to a warehouse full of unopened boxes waiting to be transferred to the historical archive. The types of documents produced monthly or weekly over an 80-year span include letters, invoices, hand-written notes, technical plans, newspapers, balance sheets, financial statements, business proposals, contracts, contract drafts, minutes, orders of business, in-house organs, press releases. You practically float in documents, an overload of information. Being able to focus on what might provide you the right information is already a challenge. Moreover none of these papers will say anything if taken singularly. They are the aseptic office production of the work of thousands of people, created to circulate information within the company and not to explain its political and economic impact on the world’s affairs. It is necessary to read the whole documentation, year after year, division after division, linking the objectives of single actions into one general industrial strategy and trying not to get lost in the myriad of secondary information stored alongside the more meaningful material. Overall, for historian who study the typewritten 20th century, the problem with sources is often their abundance and irrelevance. As a survival kit to plunge into an industrial archive as vast as Eni’s, I would firstly suggest to talk to its helmswoman, the chief archivist Anna Landolfi. She knows the records and the company’s structure better than anybody and she will be able to guide you towards what you need. Secondly, a list of keywords to type on the digital catalogue will allow you to find the shelf marks you need. Thirdly, and most importantly, you must arm yourselves with time and commitment. Great things will come up, but only if you have the patience to wait for the documents to start talking. My undergraduate dissertation supervisor ‘advertised’ for students to do theses with him by claiming that medievalists (and indeed classicists) have too few sources, while contemporary historians have too many. Early modern historians thus rest nicely in the middle, Goldilocks-style. Being an early modernist I have to agree, haha. That’s hilarious–I feel that as a Modern historian, there’s too many sources, but sometimes sources have been destroyed on purpose, as for example a lot of archive material on the Hitler Youth. One historian remarked that after WW2 people were so poor that they would burn Hitler Youth material to stay warm! Believe it or not, medievalists actually have similar problems with uncatalogued manuscripts, though not to the same extent. Either whole codices are uncatalogued, or sometimes only the first text is catalogued, when actually there are others that follow it. So much information just waiting to be found by diligent researchers!